Depression, social isolation, loneliness and mental health. Depression, social isolation, loneliness, mental health and discrimination concept. Sad, lonely, depressed and unhappy man. 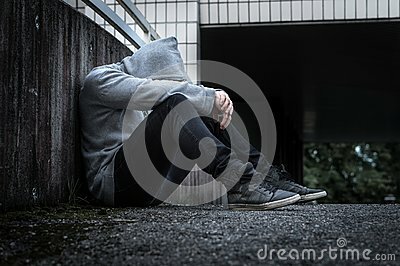 Hooded person sitting in dark alley.